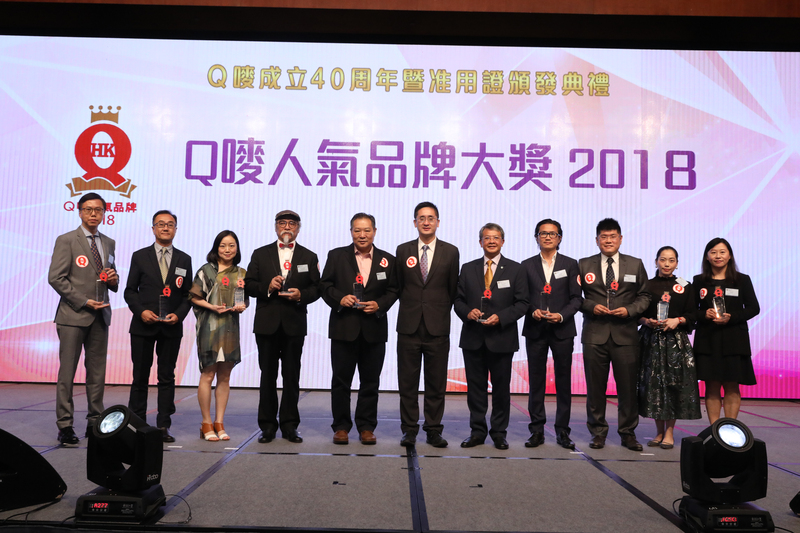 The ceremony was held at the Convention Hall of the Hong Kong Convention and Exhibition Center on 27th September 2018. 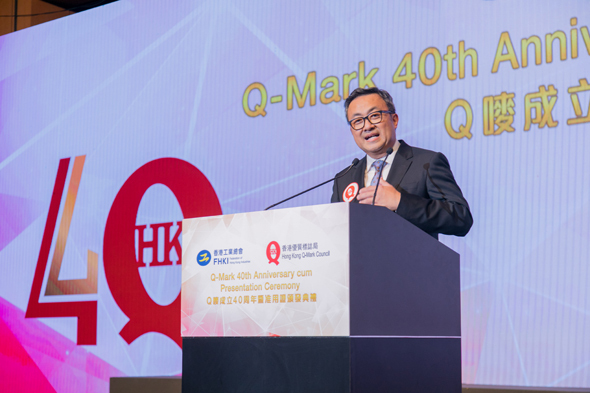 The Hong Kong Q-Mark Council was honored to have the chief executive the Hon Carrie Lam and the Under Secretary for Commerce and Economic Development Dr. Bernard Chan as the guests of honour. 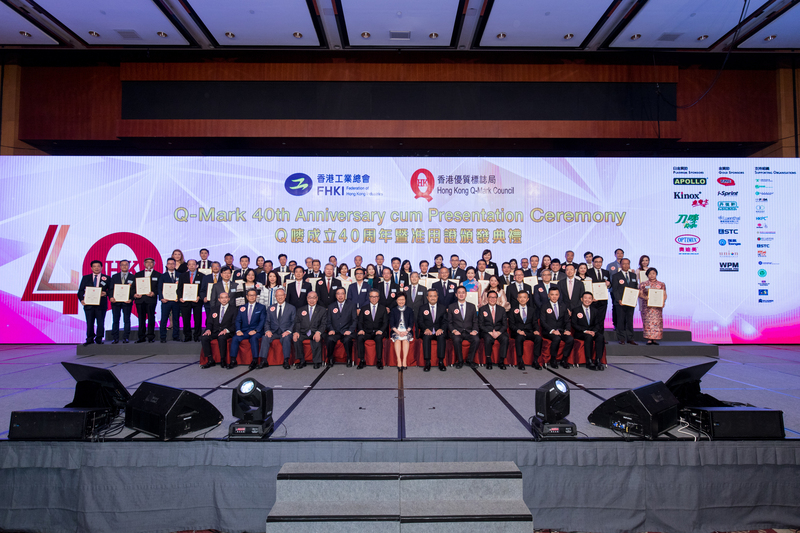 Mrs. Lam presented Q-Mark licences to seven new companies to recognise their distinguished achievements in obtaining the Q-Mark certification. Furthermore, she also presented certificates of recognition to three Q-Mark licencees which licences extended over 30 consecutive years. 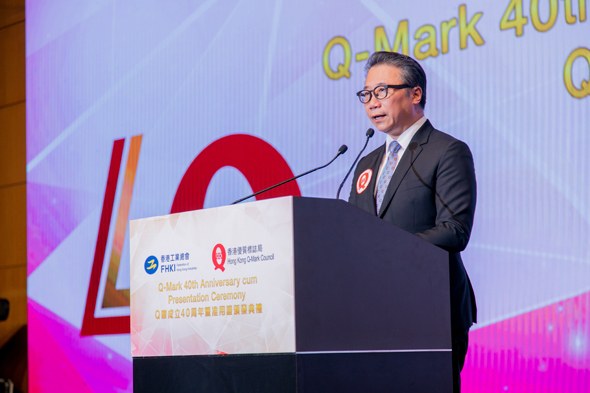 In the latter half of the evening, the Under Secretary for Commerce and Economic Development Dr. Bernard Chan, FHKI Deputy Chairman Prof. Eric Yim and Q-Mark Chairman Mr. Bernie Ting, presented trophies to the winners of “2018 Q-Mark Elite Brand Awards” and “Q-Mark New Elite Brand”. A total of over 500 guests attended the ceremony.